We are proudly offering a brand-new range of beautiful and amazing Sky Guitars, all designed by Uli himself and crafted to perfection by his favourite luthier, Boris Dommenget, who has built all of Uli’s Sky Guitars since 2010. The first Sky Guitar was built in England in 1983 by Master Luthier Andreas Demetriou. and to vastly expand the tonal range as well as enhancing the spectrum of the colours of expression. The development of Sky Guitars is an ongoing story which is still unfolding. Each new Sky Guitar is an important step in this chain of exploration. Sky Guitars are built for people with a vision. They are power tools of creativity. In the right hands, a Sky Guitar can produce amazing sounds and colours. or simply collect the guitar for its aesthetic beauty and magical visual appeal. destined to gain in value as time goes by like an heirloom which you can proudly pass on to future generations. With a Sky Guitar you are embracing the Spirit of Beauty, Inspiration and Imagination. who sadly passed away at the beginning of 2017. 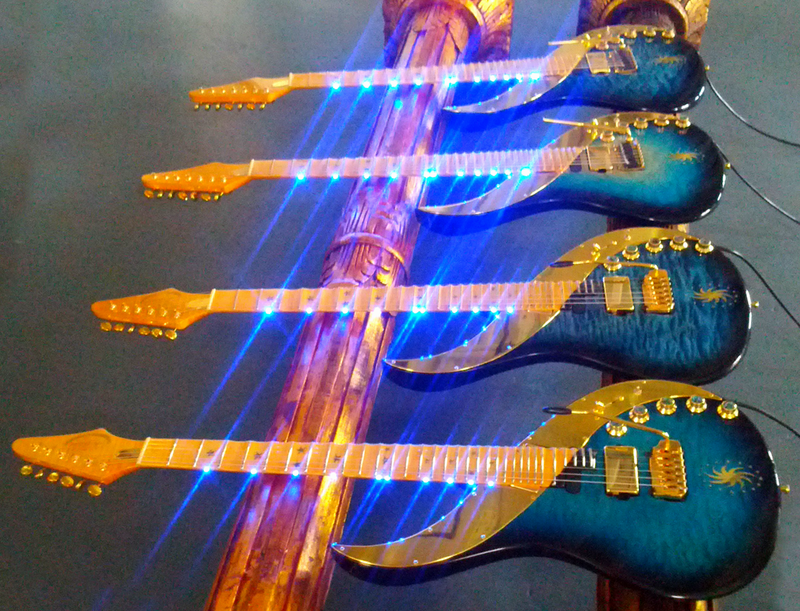 The first Limited Edition of 50 Sky Guitars was distributed by Dean. and are distributed worldwide only through this website.